And as if all that wasn’t enough, convenience store chain Lawson is giving us one more reason to stop by: a fried chicken-cooking robot. This 153.8-centimeter tall pinnacle of technology cooks Lawson’s Karaage-kun brand of bite-sized fried chicken morsels. 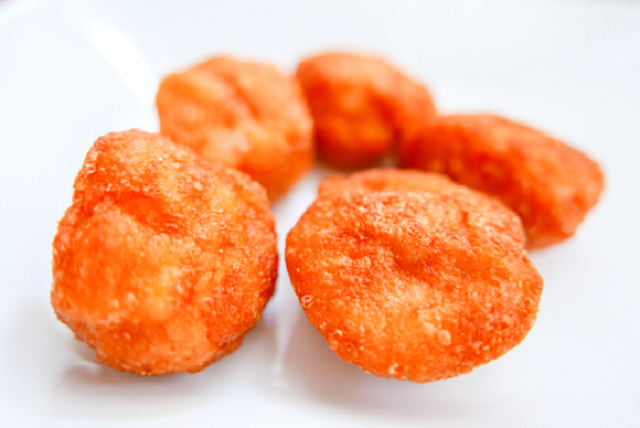 One of Japan’s favorite snacks, Karaage-kun is so loved that the chain sells about 20 billion pieces annually (each pack contains five pieces). As with all Japanese snacks, there’s a constantly evolving list of limited-time flavors, like pitch-black Black Hole and Dragon Quest healing magic. 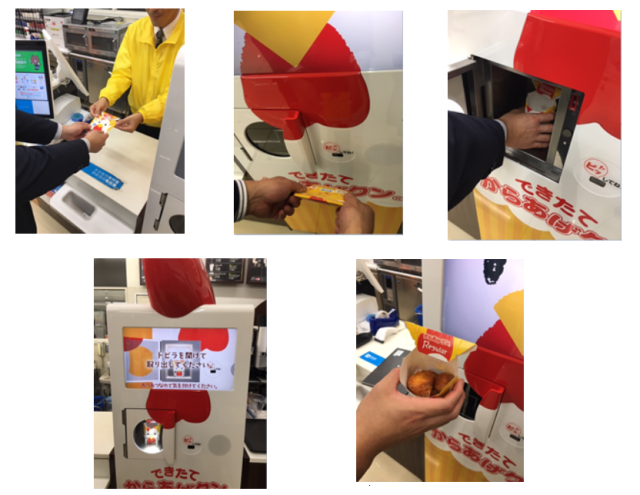 The first Freshly Cooked Karaage-kun Robo model will be installed at Lawson’s TOC Osaki branch in Tokyo, with its first day on the job being Tuesday. The designers say its automated cooking procedure is 80 percent faster than the conventional method, allowing each and every customer to enjoy speedy cooked-to-order fried chicken. The Freshly Cooked Karaage-kun Robo’s initial test run will last until Dec 28, but Lawson says it eventually plans to upgrade it to fully automated status. I have been buying drinks from robots for years !! Probably just a microwave in a fancy box. On the "who cares, as long as people are buying" axis, it's appropriate for the rollout to begin in Osaka. Way to get rid of humans.. Robots are replacing labor force for quite some time now, but this is the next level... Why bother with humans when you can use a machine to do it much better and offset the cost and mistakes caused by human error..
Oh great. So instead of just handing over money and the staff handing me my snack we now have to do a whole little routine. They've missed a step though, there should be a form to fill in. Hey Lawson, Do we get paid for working there? "Open up the chicken-cookin' doors, HAL." "I think you know what the problem is just as well as I do, Dave." "What are you talking about, HAL?" HAL: You're overweight, Dave. No more karaage chicken for you." You could paint a face on a garbage can in Japan and the media would call it a robot. Way to get rid of humans.. Robots are replacing labor force for quite some time now, but this is the next level. Next level of what? From the description, it sounds like a McNugget-heating machine. "Robot" is just branding, as a way to get a completely unremarkable device a bit of attention. Do people actually eat those little chemical McGarbage things? There’s no chicken in them. Just corn, corn starch, a dash of butane to keep them fresh and a heap of chemical flavorings. Yum! Yum! They look like nuggets, which is most likely mechanically separated white meat chicken from China. I always thought karage were those chunks of chicken thighs. Yuuk on both of these. Oh no. This robotic precision would keep me from the lucky bonus sixth piece of Karaage-kun that I sometimes get.